Burberry has launched Brit Splash, a new fragrance for men. 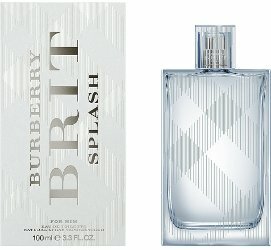 Brit Splash is a flanker to 2004's Brit for Men. Inspired by the electric energy of London in the heat and water awakening sun-hot skin, Burberry's Brit Splash eau de toilette is a bright aquatic fragrance, refreshing and invigorating. The scent features crisp rosemary, a watery accord and moss. Burberry Brit Splash is available now at Selfridges in the UK, in 50 and 100 ml Eau de Toilette.